Properties in Northland average 4.6 out of 5 stars. Property 10: Getaway by the sea,fishing, surfing,swimming and a happy safe place to stay. Property 13: Right On The Beach! Down the lawn onto the sand! Property 21: Eva's Cottage - in the middle of everywhere ! 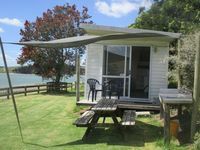 Property 23: Only 40 metres to the beach! Property 27: Beside The Sea Exclusive waterfront apartment. 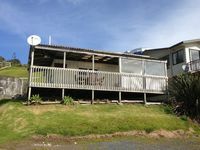 Property 28: This is the one, pristine kiwi bach by the water! Property 31: Small but ideal. Walk to beach. Rex&amp;Rae are kind and generous hosts. Their stories of the history of the farm and Batley House were part of the magic of the Kaipara for us. We loved our stay at beautiful Batley - such a stunning landscape; so peaceful and serene.